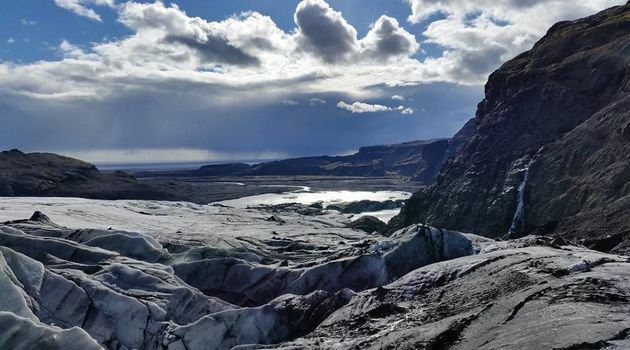 We will take you on Ice climbing adventure on Sólheimajökull glacier. The outlet glacier is a rugged, raw and ever changing environment of ancient frozen water. 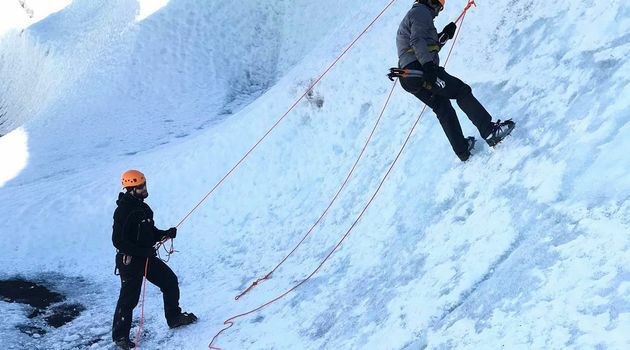 Our glacier guide will teach you how to use glacier equipment, before we go on the the crevasse riddled outlet glacier with its amazing ice formations, jagged ridges, and sinkholes. On the way we will be looking for a perfect location for our Ice climbing. After our location has been found, everybody will have an opportunity to let their light shine. This is your change to explore Iceland in a unique way. Hvolsvöllur and Hella Hotel pick up´s starts 09:30, for 10:00 departure. Please note that it can take 30 minutes for us to arrive. Selfoss and Vík Hotel pick up´s starts 09:00, for 10:00 departure. Please note that it can take 30 minutes for us to arrive. - Yes, meet the guide at Sólheimajökull parking lot. Road 221 Yes, have already checked a box on the previous page for a location other than Sólheimajökull parking lot.